Auto service centers are the latest in a long line of businesses that are using text message marketing these days. According to industry experts this is a great tool for small businesses as it can help them gain insight into the market and increase the size of their overall customer base. 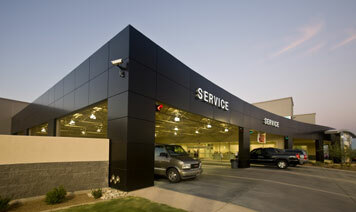 Auto service centers previously struggled to reach out to customers and share information with them. However this is not the case anymore as text message marketing can help you transmit real time messages to customers. Lets look at the different ways text message marketing is being used by auto service centers. Firstly auto service centers are using this service to develop customer lists and organizing them in a proper manner. Previously this aspect of auto service centers was very mismanaged which is why these centers often ended up losing customers. Now with the use of text message marketing service centers can list down all their customers accordingly and stay in touch with them all the time. Given the busy lifestyle that most people have these days it is almost impossible to keep track of the condition of the car. You might not remember when to send the car for servicing or have the oil levels topped up. Text message marketing can be used to send out reminders to customers encouraging them to visit again and have their vehicles checked. You can also use text message marketing to make announcements about new deals and offers. Previously these messages may have gone unheard but now your message will be directly delivered to the cell phone of the customer. The readability rates of SMS are so high that you can be sure to receive positive feedback from your esteemed customers. Mobile marketing is the ideal solution for the long run. You can also start a referral program using text message marketing. This program will offer benefits o existing customers for recommending your auto garage to others. This way you can increase your customer base and increase revenues as a result. These aren’t the only ways text message marketing is being used. There are other ways as well such as mobile coupons and discount codes. Basically the marketing campaign depends on your creativity and how successful you are in implementing this strategy. If you haven’t as yet started using mobile marketing you should do so today and avail all these amazing benefits instantly.